To subscribe, use the form below. Follow instructions thereafter, and make sure to ONLY check the geographic area where you actually live. We need this information so that we only send you information about concerts in your area. It doesn't refer to types of world music that you like. It's been quite a ride for me as of late. As you may have heard, I've had a wrist injury and haven't been able to perform for many months now. Playing music is the reason I'm here on earth, so this is a very difficult thing for me in addition to the fact that it is how I pay my bills and therefore a very scary situation. In the midst of it all I'm thankful and deeply honored that so many people are coming to my aid in unexpected and beautiful ways. Many of my early musical heroes and guitar buddies have put together an amazing benefit concert on my behalf. Mariah Parker has organized a whole community of people around the benefit, even setting up a silent auction where people have generously donated amazing goods and services. People have made donations towards my recovery through the ancient-future.com website and in person. For all this I'm very grateful. Then on my birthday I received the unexpected news that Ancient Future's World Without Walls release was nominated as Best World Music Album of the Year by broadcasters worldwide. And then just yesterday, I received news that Ancient Future is in the finals for the World Music Trailblazer Award in the About.com Reader's Choice Awards. So while I haven't been able to express myself fully in the way in which I'm accustomed, which is to hide behind my guitar and speak through the music, I have been receiving wonderful support from communities I really didn't quite know were surrounding me. Thanks so much to everyone, it is deeply appreciated. Finally there is an award that seems tailor-made for Ancient Future: the About.com World Music Trailblazer Award! To quote About.com, "This award is the second of our two artist's awards, intended for a band or artist who is breaking new territory in the realm of world music. That could mean an artist combining ancient instruments with modern recording techniques, a band who fuses multiple genres of ethnic music into something completely new, a pair of artists who've made a cross-cultural CD together, or any number of other things." You can vote once daily in each category, so vote early and vote often! Voting closes March 21. 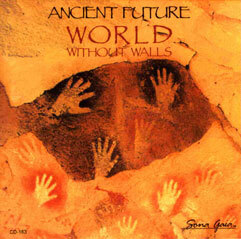 World Without Walls by Ancient Future with special guest Zakir Hussain was nominated by broadcasters worldwide as ZoneMusicReporter's Best World Album of 2011. The record debuted at #39 on the October 2011 ZMR Airplay Chart, which covers many different radio genres, from Ambient to Folk, Jazz, and World, and at #34 on the CMJ New World Chart in November 2011. Final award winners will be announced on March 11th, 2012. 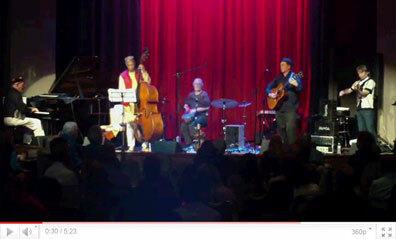 On June 7, 2011, the exact lineup of Ancient Future that performed on the band's influential World Without Walls recording reunited to perform for the first time in over 15 years at Yoshi's San Francisco and other venues. To celebrate the reunion, Capitol/EMI Records released the first ever digital version of Ancient Future's classic 1990 World Without Walls recording. Downloads are now available at all major digital retailers (iTunes, etc.). For those who prefer CDs, a limited number of rare collectible original 1990 edition copies signed by Ancient Future leader Matthew Montfort are on sale exclusively at Ancient-Future.Com. Tix: $20 general, $30 reserved seating. 'Sympathetic Strings & Resonant Reeds' is a multi-artist bill featuring sets by acoustic guitar icon Alex de Grassi; Mariah Parker's Indo Latin Jazz Ensemble featuring Grammy-winning reed player Paul McCandless, Ancient Future percussionist Ian Dogole, and bassist Fred Randolph; classical guitarist Jon Mendle, who has performed with Yo-Yo Ma and the Silk Road Ensemble; and an acoustic guitar round-robin with Teja Gerken and Ronnie Ray Padilla. There will be some collaborations between the performers as well. For example, Paul McCandless will be adding his resonant reeds in concert with the sympathetic strings of some of the other artists, such as Alex de Grassi, with whom he has a history of performing. The concert is a benefit for guitarist Matthew Montfort of the world fusion music band Ancient Future. Funds go to support his recovery from a wrist injury that resulted in the cancellation of many months of performances. Wrist injury recovery donations are also accepted online at ancient-future.com where supporters can help by purchasing CDs and books, signing up for music lessons in person or via Skype, or becoming a subscriber to the Archive of Future Ancient Recordings, which is a crowd funded project to produce the next Ancient Future release. There will be a silent auction at the event as well.